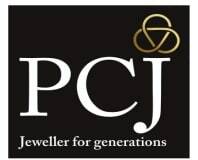 Jewels crafted with love, passion and pride are the perfect ingredients for the most memorable day in a girl’s life – and PC Jeweller, jeweller for generations, will prove it as the Fashion Design Council of India (FDCI) readies itself for the 4th season of the Delhi Couture Week 2013! 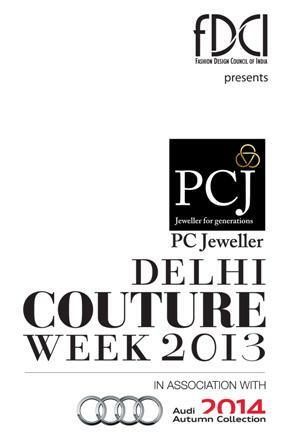 Presenting FDCI’s Delhi Couture Week 2013 for the second successive time, haute couture jeweller, PC Jeweller (PCJ) will flaunt the extravagant designer Satya Paul’s maiden collection Demi Couture on August 2, as part of the five-day extravaganza starting July 31. The Demi-Couture collection, a charismatic capsule collection, is a befitting introduction to the extended line of haute couturier Satya Paul’s scintillating couture collection to be launched later this year. To add to the beauty of Satya Paul’s debut collection this year, striking models and stars will scorch the ramp in PCJ’s breathtaking Polki and Diamond jewellery to add the sparkle to the panorama. In fact, ‘Couture Jeweller par Excellence’ PC Jeweller will be the only constant sight to behold as the stalwart will create a beautiful bridge between contemporary and archaism in the eagerly awaited fashion extravaganza to be held at Taj Palace Hotel on August 2.